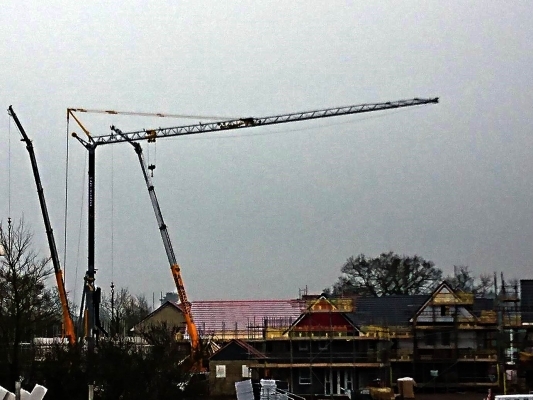 During March we placed a Mantis TC25 on a Concrete Frame Project in Bristol. The Self Erecting Tower Crane will be working on the site for a short term hire period. 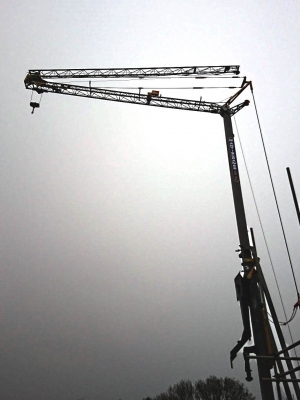 The Mantis TC25 Pedestrian Operated Tower Crane is the smallest Self Erecting Crane on our Crane Hire Fleet. It is ideal for construction projects where space is restricted as it can easily be maneuvered onto almost every site due to its permanent axle. 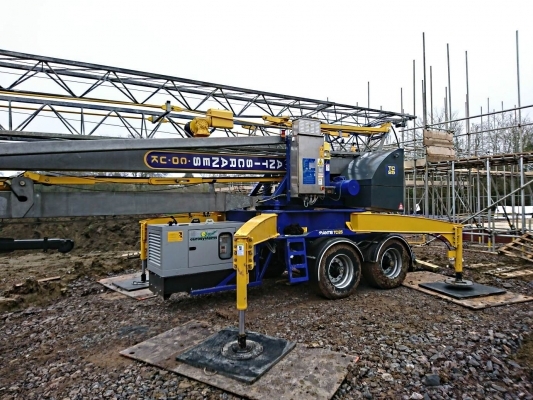 Exclusive to Mantis Cranes, the TC25 features an on board generator and permanent ballast. This is a residential project, a short term hire that the Mantis TC25 will work on until it returns to our Northampton Depot before being sent out to the next project. 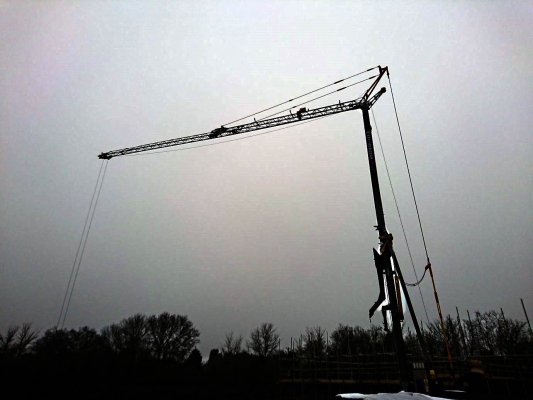 The Mantis TC25 features a 25m jib and a 19m height under hook. 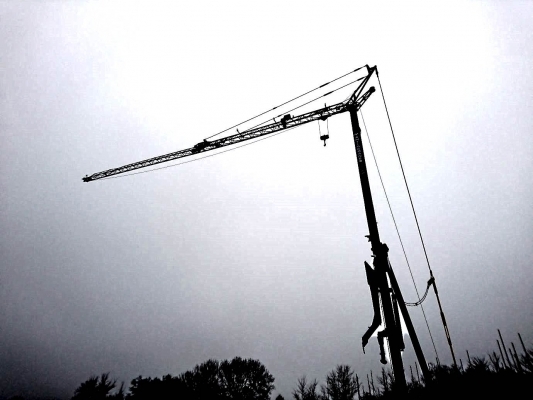 It can provide a maximum capacity of 2,000kg from the tower out as far as 10.8m on the jib and 750kg at the end of the jib.